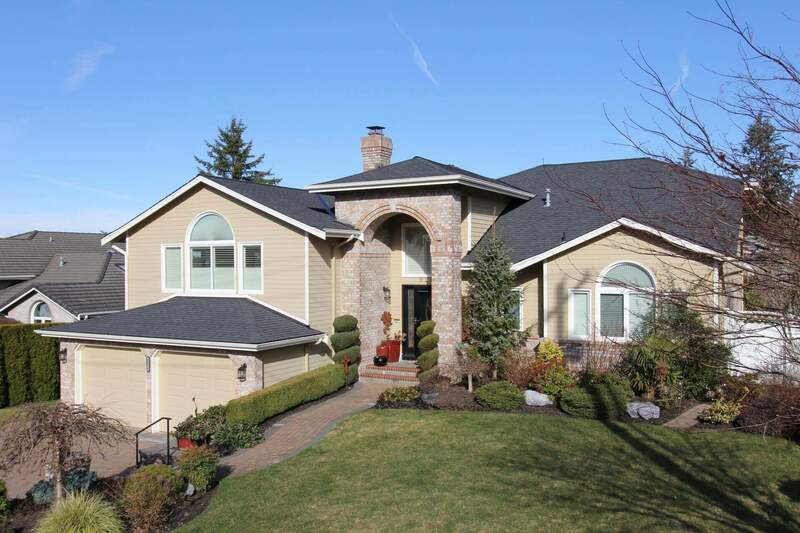 The supporting framing member immediately beneath the deck, sloping from the ridge to the wall plate usually 16 or 24 inch on center. The lower end of a roof truss that extends beyond outer wall. 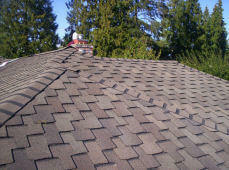 A plastic or paper strip that is applied to the back of self-sealing shingles. 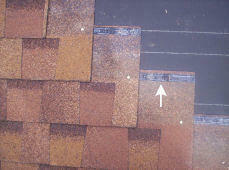 This strip prevents the shingles from sticking together in the bundles, and need not be removed for application. 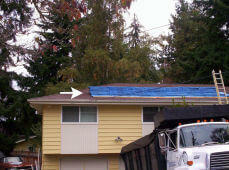 Installing a new roof system on a building that is not new. A vent system used along the horizontal top of a roof for much better air space ventilation which is rated approximately 14 sq. inches per foot. 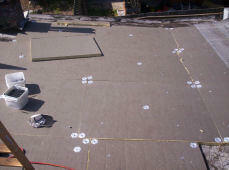 Dense insulation boards nailed over a roof deck that is the finished ceiling. 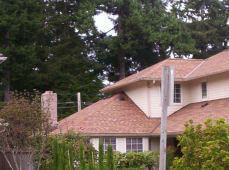 Asphalt roofing products manufactured in roll form which are not approved for residential use. 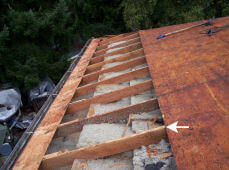 Brackets used on steeper roofs that hold 2×6 boards to prevent sliding. 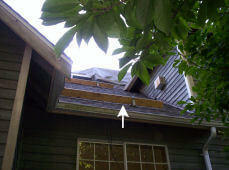 Flashing used at top of roof section that is over the roofing and under the siding. 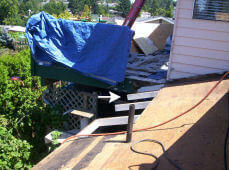 The delivery of roofing material to job site set on top of the roof structure. A framework of beams forming a rigid structure. 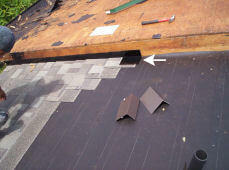 An asphalt-saturated tape used with asphalt cements for stabilizing flashing and patching asphalt roofing. 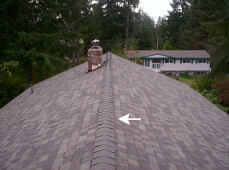 The vertical distance from the eaves to a point directly under the ridge. One half the span.